From Barão de Vilar (Port), we received this Barão de Vilar Pink 50cl (£6.38), a fortified wine that is based on tinta çao, tinta roriz, touriga nacional and touriga franca grapes and comes with an alcohol content of 19%. Uvinum users evaluate this fortified wine with 5 out of 5 points. 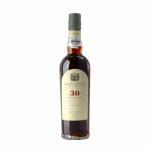 - Nose: aroma of raspberry, flowers, honey and grapefruit. - Mouth: strawberry, cherry, currant, raspberry, a touch of green herbs and freshness. GRAPES: Tinta Cao, Tinta Roriz, Touriga Franca, Touriga Nacional. PAIRING: with a slice of orange or a mint leaf as cocktail. 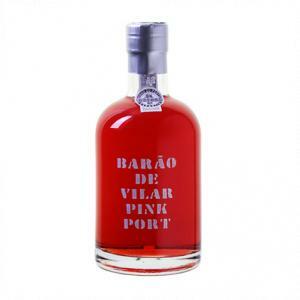 If you want to buy Barão de Vilar Pink 50cl, at Uvinum you will find the best prices for Port fortified wine. Purchase it at Uvinum at the best price, easy and 100% safe. We're the only site in Europe with more than 59.000 products for sale which makes us the leading marketplace for wine, beer, and spirits in Europe with more than 38.000 customers trusting us.